Self-inflicted injury is now the 8th leading cause of mortality, while suicide is the 10th leading cause of death in the United States. That's a stunning number of people dying by their own hand in one form or another, and in addition to galvanizing public health prevention efforts, these statistics pose an urgent need to identify root causes and more effective treatment systems. Treatment works, but beyond having access to appropriate medical and psychological help, the social environment is critical to creating successful recovery opportunities for those suffering from mental health and substance use disorders. I am asking my readers to commit to help prevent these unnatural deaths. We can make a difference if each of us commits to taking on one opportunity for improvement, ones that are embedded in our homes, our schools, our worksites, and our communities. Here are a few suggestions based on current evidence of what we understand contributes to self-harm deaths. Feel free to commit to your own innovative ideas, but please, do not stand by and accept the premature loss of another father, mother, sister, brother, or child. I'm talking about stigma. Understand that brain diseases are chronic medical illnesses that respond to safe and effective medications and scientifically demonstrated therapies. If you know someone who appears to be suffering, be compassionate, and help them find treatment options. Most people suffering from depression or addiction who don't ask for help report they were afraid of being viewed negatively by others, or, they weren't sure they needed help, believing that they are able to solve their issues or that they will solve themselves over time. This is a tragedy. We saw it in the past with HIV/AIDS and cancer, and we see it still all the time with mental health and substance use disorders. Prescribed medications are under regulatory oversight because they are dangerous if misused. This is true not only for controlled substances, like prescription opioids, stimulants, and sedatives; it is also true for medications like antibiotics. Research on attitudes in the United States suggests that people grossly underestimate the dangers of medication-sharing, which include but are not limited to: development of addiction, lethality of overdoses, and injuries related to interactions with alcohol and other medications. Store medications safely and out of reach from children, take only as prescribed, don't share with family and friends, and dispose safely of medications you no longer need. People who talk about thoughts of death or suicide are at increased risk for each, even when they say it in a casual way. Take action--check in with that person, be brave enough to ask if they're doing OK, or ask if you can help. Your concern can save a life. Especially at the beginning, and sometimes for longer periods, people in treatment for mental health and substance use disorders need to attend frequent treatments, such as weekly prescriber appointments, weekly therapy, and peer support/mutual help groups several times per week. This is not easy to accomplish and can cause financial strain, as many people have competing responsibilities. Volunteer babysitting, transportation, be part of civic committees focused on making treatment more family-friendly and affordable. Start peer support groups, mentor groups, and safe/sober leisure activities. Ask local fitness and yoga clubs to give discounts for those in need of stress reduction services. The US has a sleep deficit epidemic and nobody is giving this the attention it deserves. Healthy sleep patterns are essential not just for mental health but also for physical health, education, and general well-being. Take care of yourself, practice good sleep habits, and insist that those around you do the same. It's free, and it matters much more than you've been told. Prescriptions, drugs, and alcohol are often as lethal as a gun. If you'd feel uncomfortable with someone being alone with a gun, then think again about pills, alcohol, and drugs. Many deaths by suicide involve substances or prescription medications, and an alarming 86% of prescription opioid deaths among those aged 60 and older, called in to poison control centers nationally between 2006-2013, were suicides. Many of the most successful community innovations and family protective structures have roots in acts of faith and spiritual communion between members within our communities. Connection matters. And obviously, don't do it yourself. We are shamed by the tragic problems of veterans who returned from honorable service to homelessness, inadequately treated PTSD, substance use disorders, and suicide as a favorable option. Our veterans and first responders are often quietly suffering instead of being honored and supported. The continuous exposure to tragedy and the "dark side" of life creates vulnerability to stress disorders of all type, physical and emotional. Sleep disorders are endemic. Let's proactively support those who make our lives safer. It does; it's one of the most protective factors known. We urgently need to reassess how we think about substance overdose deaths in general, to include greater focus on self-harm prevention and education efforts for prescribers, patients, families and community stakeholders. Thank you for joining me, and all of us at McLean Hospital, in this effort. 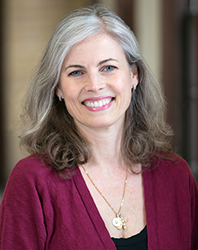 Hilary Smith Connery, MD, PhD, is clinical director of the Division of Alcohol and Drug Abuse at McLean Hospital and an assistant professor of psychiatry at Harvard Medical School.